A gastronomic revolution has taken over Hungary in the past few years, new restaurants, bistros and street food places have been opening on almost every corner of its capital city, but cuisine in the countryside is in bloom as well. 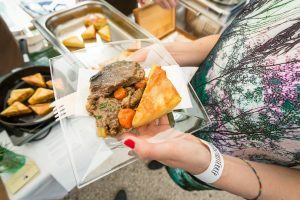 Whether they want to have a multi-course meal while tasting the best wines of the country, or prefer to grab a bite in a more casual place, visitors to Hungary will definitely find something for themselves in the large selection of venues for dining. The 2000-year-old traditions of Roman viticulture are still kept alive and nurtured in the region, and visitors can have their pick of wines from four historical wine regions. Thanks to the basalt-rich soil and a unique climate shaped by the lake’s massive volume of water and the volcanic hills, Badacsony produces particularly flavoursome, mineral-rich wines. 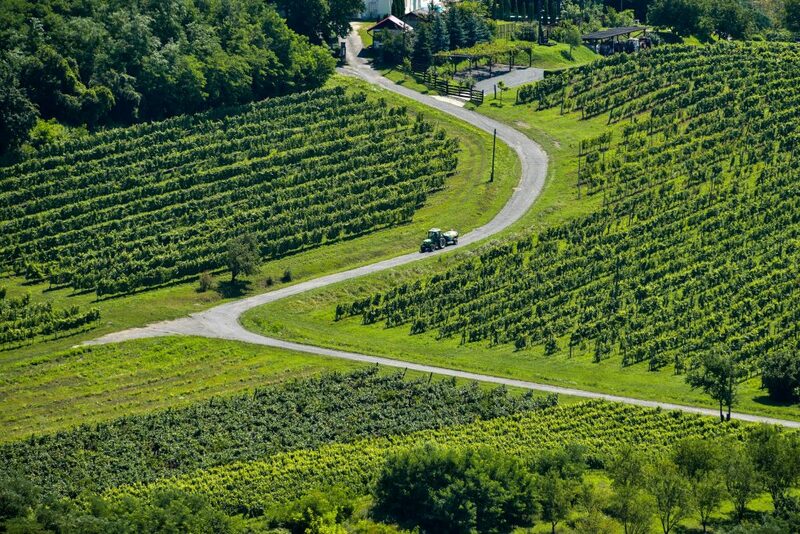 During your visit make sure to try kéknyelű, which only grows in Hungary, or olaszrizling and szürkebarát (pinot gris) varieties typical of the region, which take on an inimitable and unique flavour here. It is also worth visiting local winemakers and producers, many of whom operate wine terraces or restaurants and are more than happy to chat with guests sipping their wines. The largest wine-related events in the region include the summer festivals in Badacsony, Balatonboglár and Balatonfüred, where the producers themselves offer their prize products to visitors. As a result of the gastro-revolution that has also reached the Balaton area, an increasing number of restaurants and bistros offer dishes made from locally sourced ingredients, creatively rethinking traditional recipes. Don’t go home without tasting the Balaton fisherman’s soup (halászlé), made from several different types of fish, or the grilled zander (süllő). You can buy authentic regional home-made delicacies at the farmers’ markets, where you can also have a taste of the produce on offer. Farmers’ markets are held in many towns, including Hévíz, Gyenesdiás, Káptalantóti and Tihany.